The reproductive performance of ewes is certainly an economically important trait in any commercial enterprise. Attention should be paid to the care of pregnant ewes and their lambs before, during and after birth. 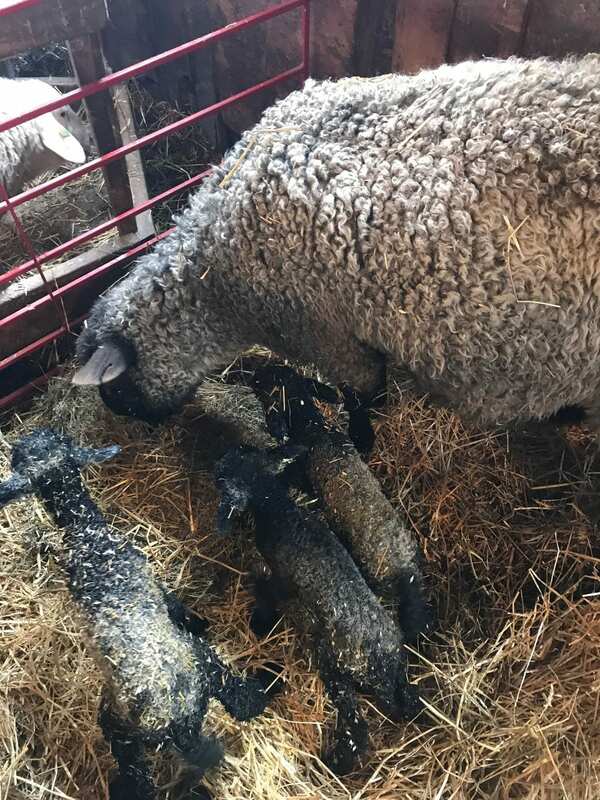 Ensuring the nutritional demands of ewes during each stage of pregnancy, will result in the greatest “return on investment” in terms of maximizing the reproductive performance of sheep and in improving lamb survival. Improving the nutrition of pregnant ewes will increase lamb birth weights, which is the most important factor contributing to lamb survival. It will also ensure the ewe will have sufficient body reserves at birth to facilitate a quick delivery, begin lactation with an adequate amount of colostrum and provide satisfactory maternal care to her lamb. The lamb will benefit by having a greater amount of body reserves, particularly brown adipose fat to metabolize post birth, will stand and suckle quicker and lose less heat after birth. In the past it has been recommended that ewe body weight can reduce in early pregnancy. However nutrition in early pregnancy has just as an important role to play as it does in late pregnancy as it is strongly linked to placental development. If ewes lose weight in the first 90 days of pregnancy, then placental development will be inhibited. The result will be fewer and smaller cotyledons to adequately supply enough nutrients and oxygen across the placenta. This then leads to lower birth weights of lambs and decreased lamb survival regardless of whether nutrition is increased in later pregnancy. Nutrition also effects maternal behavior. Ewes that are undernourished will show impairments which can affect the quality of the maternal relationship with their lambs. Undernourished ewes are generally more aggressive, spend less time grooming and more time eating after birth and are more likely to desert their lamb. 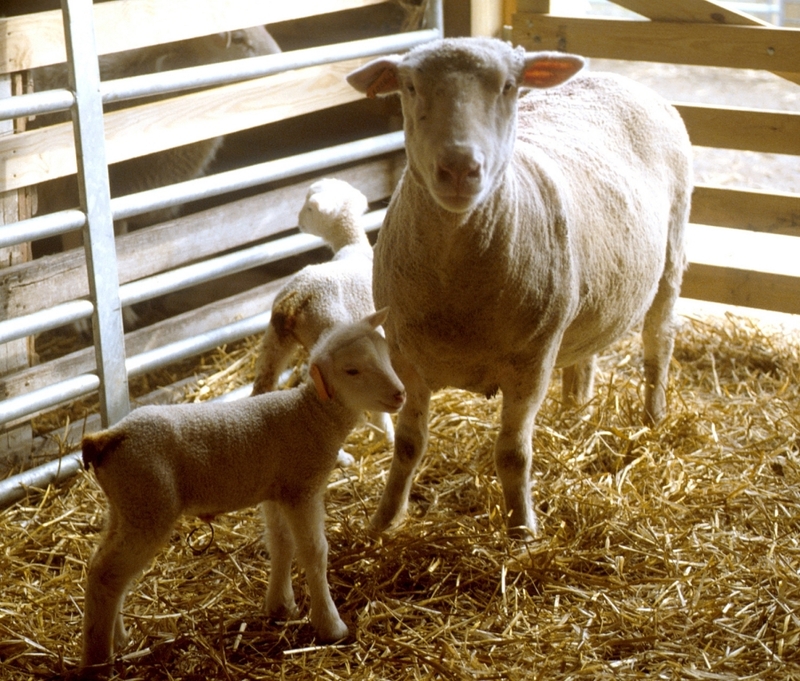 Allocating feed based on pregnancy status is critical in maintaining lamb birth weights. Pastures that are of high quality and have some legume content will safeguard ewes’ body condition for both conception and lambing. Where possible, attention should be paid to closely matching feed supply and animal demand because with the increased focus on fertility, achieving higher production in the most cost effective manner is best accomplished from pastures. Multiple records on maternal rearing ability of a ewe over its lifetime can improve lamb survival in the current generation by identifying and culling ewes with poor rearing ability. The use of ultrasound pregnancy scanning for multiples and classifying ewes as wet or dry at weaning identifies those ewes that have successfully reared one lamb. The use of electronic tags and pedigree match maker software will further improve the accuracy of identifying ewes that rear all of their lambs. Genetics offer a relatively low cost solution to increasing lamb survival, however because of the very low heritability, genetic improvement is likely to take over 14 years to improve 10%. Resources would be more cost effectively placed into pasture improvement and fencing to reduce the size of the multiple bearing ewe mob to increase the survivability of lambs particularly in the first three days of life. Posted by Braden Campbell at 8:00am February 5, 2019 Posted in Management and tagged Health, Management, Nutrition, Reproduction. Bookmark the permalink.